“Sleep results from the synergism between at least two major processes: a homeostatic regulatory mechanism that depends on the accumulation of the sleep drive during wakefulness, and a circadian self-sustained mechanism that sets the time for sleeping and waking throughout the 24-hour daily cycle. REM sleep apparently contravenes the restorative aspects of sleep; however, the function of this ‘paradoxical’ state remains unknown. Although REM sleep may serve important functions, a lack of REM sleep has no major consequences for survival in humans; however, severe detrimental effects have been observed in rats. Opposite imprinting defects at chromosome 15q11–13 are responsible for opposite sleep phenotypes as well as opposite neurodevelopmental abnormalities, namely the Prader-Willi syndrome (PWS) and the Angelman syndrome (AS). Whilst the PWS is due to loss of paternal expression of alleles, the AS is due to loss of maternal expression. Maternal additions or paternal deletions of alleles at chromosome 15q11–13 are characterized by temperature control abnormalities, excessive sleepiness, and specific sleep architecture changes, particularly REM sleep deficits. Conversely, paternal additions or maternal deletions at chromosome 15q11–13 are characterized by reductions in sleep and frequent and prolonged night wakings. “‘Troubled sleep’ had two major purposes. The first was to draw attention to the oppositely perturbed sleep of infants with PWS and AS and explore its evolutionary implications. The involvement of imprinted genes suggests that infant sleep has been subject to antagonistic selection on genes of maternal and paternal origin with genes of maternal origin favoring less disrupted sleep. My second major purpose was a critique of the idea that children would be happier, healthier and better-adjusted if we could only return to natural methods of child care. This way of thinking is often accompanied by a belief that modern practices put children at risk of irrevocable harm. The truth of such claims is ultimately an empirical question, but the claims are sometimes presented as if they had the imprimatur of evolutionary biology. This appeal to scientific authority often seems to misrepresent what evolutionary theory predicts: that which evolves is not necessarily that which is healthy. Why should pregnancy not be more efficient and more robust than other physiological systems, rather than less? Crucial checks, balances and feedback controls are lacking in the shared physiology of the maternal–fetal unit. “Infants are classified as having insecure-resistant attachment if they maintain close proximity to their mother after a brief separation while expressing negative emotions and exhibiting contradictory behaviors that seem to both encourage and resist interaction. By contrast, infants are classified as having insecure-avoidant attachment if they do not express negative emotion and avoid contact with their mother after reunion. Insecure-avoidant and insecure-resistant behaviors might be considered antithetic accommodations of infants to less responsive mothers; the former associated with reduced demands on maternal attention, the latter with increased demands. A parallel pattern is seen in effects on maternal sleep. Insecure-avoidant infants wake their mothers less frequently, and insecure-resistant infants more frequently, than securely attached infants. Parent–child interactions are transformed once children can speak. Infants with more fragmented sleep at 6 months had less language at 18 and 30 months. “China, Taiwan and Hong Kong have both high rates of bed-sharing and high rates of problematic sleep compared with western countries. Within this grouping, however, more children sleep in their own room but parents report fewer sleep problems in Hong Kong than in either China or Taiwan. Clearly, cultural differences are significant, and the causes of this variation should be investigated, but the differences cannot be summarized simply as ‘west is worst’. The fitness [genetic rather than physical fitness] gain to mothers of an extra child and the benefits for infants of longer IBIs [interbirth intervals] are substantial. These selective forces are unlikely to be orders of magnitude weaker than the advantages of lactase persistence, yet the selective forces associated with dairying have been sufficient to result in adaptive genetic differentiation among populations. “I remain skeptical of a tendency to ascribe most modern woes to incongruence between our evolved nature and western cultural practices. We did not evolve to be happy or healthy but to leave genetic descendants, and an undue emphasis on mismatch risks conflating health and fitness. McKenna [a commenter] writes ‘It isn’t really nice nor maybe even possible to fool mother nature.’ Here I disagree. Our genetic adaptations often try to fool us into doing things that enhance fitness at costs to our happiness. Our genes do not care about us and we should have no compunction about fooling them to deliver benefits without serving their ends. Contraception, to take one obvious example, allows those who choose childlessness to enjoy the pleasures of sexual activity without the fitness-enhancing risk of conception. Night waking evolved in environments in which there were strong fitness costs from short IBIs and in which parents lacked artificial means of birth-spacing. If night waking evolved because it prolonged IBIs, then it may no longer serve the ends for which it evolved. Nevertheless, optimal infant development might continue to depend on frequent night feeds as part of our ingrained evolutionary heritage. “[Crespi] The profound implications of Haig’s insights into the roles of evolutionary conflicts in fetal, infant and maternal health are matched only by the remarkable absence of understanding, appreciation or application of such evolutionary principles among the research and clinical medical communities, or the general public. [Wilkins] A mutation may be selected for its effect on the trait that is the basis of the conflict, but that mutation also likely affects other traits. In general, we expect that these pleiotropic effects to be deleterious: conflict over one trait can actually drive other traits to be less adapted. Natural selection does not necessarily guarantee positive health outcomes. [McNamara] Assuming that AS/REM is differentially influenced by genes of paternal origin then both REM properties and REM-associated awakenings can be better explained by mechanisms of genomic conflict than by traditional claims that REM functions as an anti-predator ‘sentinel’ for the sleeping organism. “A persistency of DNA methylation over time at key genomic loci associated with diabetic complications. Two sets of DNAs collected at least 16–17 years apart from the same participants are used to show the persistency of DNA-me over time. Twelve annotated differentially methylated loci were common in both WB [whole blood] and Monos [blood monocytes], including thioredoxin-interacting protein (TXNIP), known to be associated with hyperglycemia and related complications. “Continued to develop complications, such as nephropathy, retinopathy, and macrovascular diseases, at significantly higher rates. “Parental behavioural traits can be transmitted by non-genetic mechanisms to the offspring. 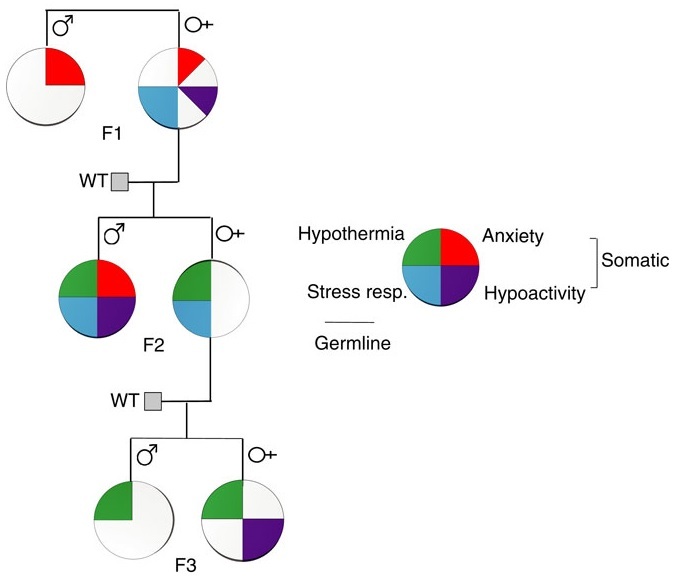 We show that four anxiety/stress-reactive traits are transmitted via independent iterative-somatic and gametic epigenetic mechanisms across multiple generations. “The iterative propagation of the male-specific anxiety-like behaviour is most compatible with a model in which proinflammatory state is propagated from H [serotonin1A receptor heterozygote] F0 to F1 [children] females and in which the proinflammatory state is acquired by F1 males from their H mothers, and then by F2 [grandchildren] males from their F1 mothers. We propose that increased levels of gestational MIP-1β [macrophage inflammatory protein 1β] in H and F1 mothers, together with additional proinflammatory cytokines and bioactive proteins, are required to produce immune system activation in their newborn offspring, which in turn promotes the development of the anxiety-like phenotype in males. The researchers studied transmission of behavioral traits and epigenetic changes. Due to my quick take on the study title – “Behavioural traits propagate across generations..” – I had expectations of this study that weren’t born out. What could the researchers have done versus what they did? The study design removed prenatal and postnatal parental behavioral transmission of behavioral traits and epigenetic changes as each generation’s embryos were implanted into foster wild-type (WT) mothers. The study design substituted the foster mothers’ prenatal and postnatal parental environments for the biological parents’ environments. So we didn’t find out, for example, to what extents the overly stress-reactive F1 female children’s prenatal environments and postnatal behaviors induced behaviors and/or epigenetic changes in their children, and whether the F2 grandchildren’s parental behaviors subsequently induced behaviors and/or epigenetic changes in the F3 great-grandchildren. How did the study meet the overall goal of rodent studies: to help humans? Only a minority of humans experienced an early-life environment that included primary caregivers other than our biological parents. Very, very few of us experienced a prenatal environment other than our biological mothers. The study’s thorough removal of parental behavior was an outstanding methodology to confirm by falsifiability that parental behavior is an intergenerational and transgenerational inheritance mechanism for other phenotypes. How did parental behavioral transmission of behavioral traits and epigenetic changes become a subject not worth investigating? These traits and effects can be seen everyday in real-life human interactions, and in every human’s physiology. But when investigating human correlates with behavioral epigenetic changes of rodents in the laboratory, parental behavioral transmission of behavioral traits is often treated the way this study treated it: as a confounder. I doubt that people who have reached some degree of honesty about their early lives and concomitant empathy for others would agree with this prioritization. The papers of Transgenerational epigenetic inheritance week show the spectrum of opportunities to advance science that were intentionally missed. 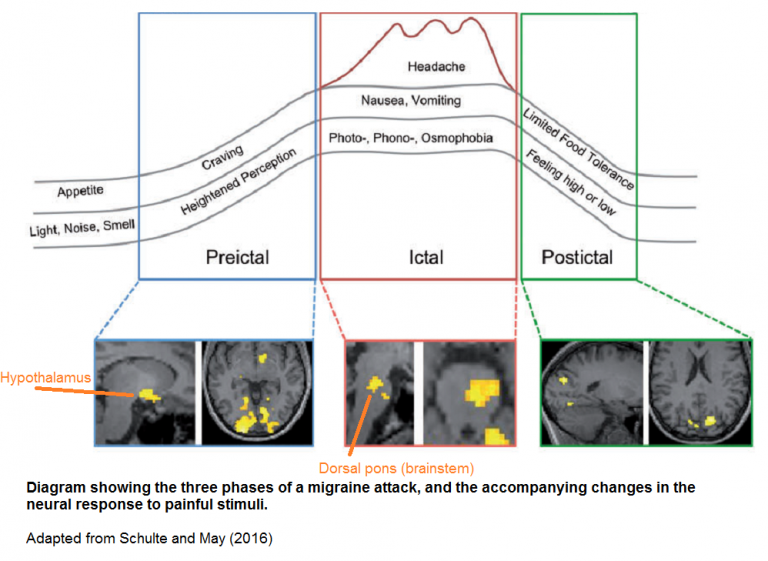 Enduring epigenetic memories? Or continuous toxic stimulation? “Virulence factors modify the epigenomic landscape through targeting of host signaling cascades, or chromatin complexes directly. Additionally, some bacterial factors have intrinsic catalytic activity enabling them to directly modify chromatin. Virus, fungi, and parasites also induce similar processes. Epigenomic changes are not the only possible marks contributing to epigenetic memory. Every inducible change that is not rapidly reversed has the potential to maintain a lasting effect. Most studies in this field have been performed in vitro with fully terminally differentiated cells such as epithelial cells. Since in such cell types cell fate is already established and a short lifespan often occurs in vivo, this raises the question of whether such memory would be relevant for these cells. The same can be applied to differentiated innate immune cells, which also have a short lifetime. “The lasting potential of chromatin marks depends not only on the kinetics of the epigenome, but also on the stimulus itself. For example, in contrast to LPS [lipopolysaccharide, the major constituent of the cell wall of Gram-negative bacteria], which is rapidly cleared from the organism, BCG and the anthrax toxin may persist in the host organism. This last point emphasized the principle that damaging sources should be addressed. Enduring epigenetic memories may be symptoms rather than causes when toxic conditions persist. One reason why therapies that attempt to reverse epigenetic changes may not be effective is that epigenetic memories may not be the only causes of continuing damage. Why did the reviewers submit their work to a journal which imposed such restrictions? “The 15q11.2-q13.3 region contains a cluster of imprinted genes, which are expressed from one parental allele only as a consequence of germline epigenetic events. The importance of epigenetic status of duplications at this interval was further underlined by analysis of a number of families. Duplications in two unaffected mothers had a DNA-methylation pattern indicative of being paternally derived, whereas their offspring, who possessed a maternally derived duplication, suffered from psychotic illness. We clearly implicate 15q11.2-q13.3 interstitial duplications of paternal origin in the aetiology of DD [developmental delay], but do not find them at increased rates in SZ [schizophrenia], which is significantly associated only with duplications of maternal origin. “We show for the first time that paternal duplications are pathogenic. One reason why paternal duplications have been regarded as non-pathogenic in the past is their rare occurrence in patients. Here we demonstrate that they are also rare in the general population as a whole. Paternal duplications should be less efficiently eliminated from the population by negative selection pressure, due to their lower penetrance for neurodevelopmental disorders. Secondly, some maternal duplications will change to paternal when transmitted from male carriers. I would have liked further discussion of the “germline epigenetic events” that apparently contribute to the studied problems. These epigenetic abnormalities may have the potential to be prevented or treated, or at least used as early biomarkers. Does childhood trauma influence offspring’s birth characteristics? “Parental (G1) death during (G2) childhood predicts prematurity and lower birthweight in the offspring generation (G3). This response is dependent on G2 gender, G2 age at exposure and G3 parity, but not on G3 gender. Offspring of women who lost their parent at the age of 0-2 or at the age of 13-17 had an increased risk for prematurity. Offspring of men who lost a parent at ages 8-12 had an increased risk of prematurity. For women exposed to a parent’s death at age 0-2, there was no significant deficit in their offspring’s birthweight in any parity class. For women exposed at later ages we observed a deficit in birthweight. Still, the study had a firmer foundation than did A problematic study of oxytocin receptor gene methylation, childhood abuse, and psychiatric symptoms, which speciously produced politically-correct results from childhood trauma surveys of adults.